Nanofabrica has developed an AM (additive manufacturing) platform for companies requiring micron and sub-micron levels of resolution and surface finish. Typical applications for the system include casings for micro-electronics, micro-springs, micro-actuators and micro-sensors, as well as numerous medical applications such as micro-valves, micro-syringes, and micro-implantable or surgical devices. 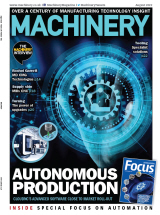 To date, key AM platform developers have struggled to get resolution under 50 micron, and the few that have strived to provide a micro-manufacturing AM solution are either expensive in terms of machine costs and cost per part, or slow, or can only print parts that are restricted in size, says Nanofabrica. 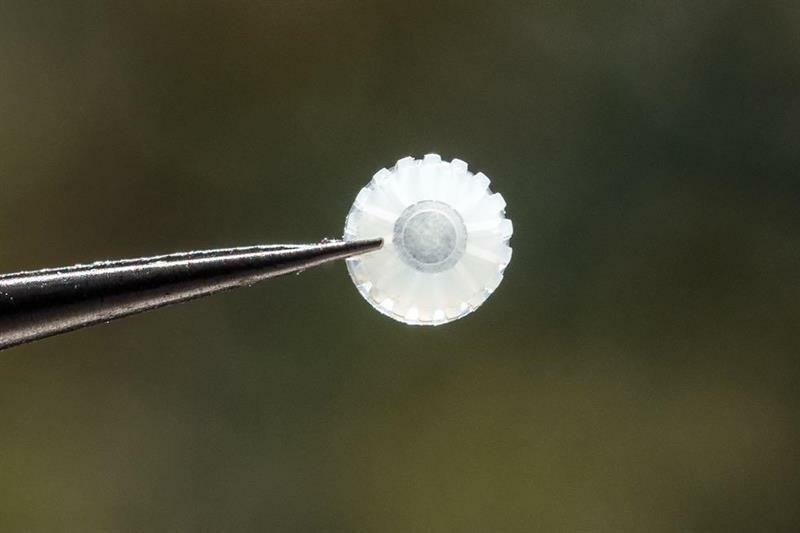 Micro-fluidics is a good example of how a true micro-AM technology can outcompete traditional manufacturing processes. To explain, micro-fluidic channels are used to move incredibly small volumes of liquid, and many of them incorporate functioning components such as filters and pumps. Traditional micro-manufacturing processes, such as micro-moulding, limit the freedom of design for such micro-fluidic channels, and it is almost impossible to produce functional substructures in them using such processes. Nanofabrica says that its micro-AM technology overcomes these barriers without compromising precision or quality. Nanofabrica’s AM process is based on a technology that is well known in the AM world, namely a DLP (digital light processor) engine. However, to achieve repeatable micron levels of resolution, the system combines DLP with the use of adaptive optics. This tool, in conjunction with an array of sensors, allows for a closed feedback loop that enables Nanofabrica’s product to reach high accuracy while remaining cost effective as a manufacturing solution. Where other AM platform developers in this space achieve precision through hardware, Nanofabrica tackles this issue with software, where solutions are easier, more robust and less expensive. Adaptive optics have been used in other areas of technology, but this is the first time they have been applied to AM technology. Another aspect of Nanofabrica’s AM platform is the ability to achieve micron resolution over centimetre-sized parts. To enable this outcome, a number of technologies have been combined. Specifically, the company has taken its use of adaptive optics and enhanced the imaging unit with technology and know-how used in the semiconductor industry (where the attainment of micron and sub-micron resolutions over many centimetres is routine). By working at the intersection of semiconductors and AM, Nanofabrica is able to build large ‘macro’ parts with intricate micro details. The company can also produce such components at speed by introducing a multi-resolution strategy, meaning that parts with fine details are printed relatively slowly – but in the areas where the details are not so exacting, the component is printed at a speeds 10 to 100 times faster. This capability makes the entire printing speed anything from 5 to 100 times quicker than other micro-AM platforms, says the company. The system’s multi-resolution functionality is made possible through the use of hardware that enables a trade-off between speed and resolution, and software algorithms which prepare the part and printing path by defining and sectioning it into low and high-resolution areas that are then fed into the printer path and machine parameters. Of course, there are not only two resolutions but in fact a spectrum of resolutions that allow speed to be optimised while maintaining satisfactory results throughout the component. Another breakthrough at Nanofabrica is in the area of materials. The company has developed its own proprietary materials (based on the most commonly used industry polymers) that enable high component resolution.